The most recent number of Industrial and Corporate Change is a special issue: Management Innovation-Essays in the Spirit of Alfred D. Chandler, Jr. Guest editors are Bill Lazonick and David Teece. Some interesting articles and definitely many interesting contributors. Yours truly was not involved — indeed, I didn’t learn about it until the table of contents appeared in my inbox. But I am cited in at least four of the papers. Indeed, the paper by Susan Helper and Mari Sako, both of whom I admire greatly, spends considerable time comparing my argument with Chandler’s. For the most part, I don’t disagree with their assessment except in respect of spin (more on which in a moment); but at one point they make an assertion that had me scratching my head. Hello? One can argue that I have spent most of my career making precisely the point they attribute to Chandler: it’s the basis of the theory of dynamic transaction costs. Neither markets nor firms snap into existence but evolve slowly and — as I often quote Brian Loasby as pointing out — both require managerial coordination. Their basic idea, echoed in some of the other papers — has this now become the conventional wisdom? — is that, well, yes, the New Economy has seen massive vertical disintegration as organizational economists would understand the term. But Chandler was still right about the Visible Hand, because even supplier relations among vertically disintegrated firms require managerial coordination, especially at the stage of systems integration. Quite so. But do we call these arrangements firms or markets? To call them firms implies that one is buying into the impoverished (albeit fairly standard) conception of markets as frictionless and mindless. I think it is true that Chandler was more interested in the managerial coordination part rather than the vertical integration part per se. But it is also true that he conflated the two and used an argument about the one as an argument about the other. In the quote above, for example, Chandler is claiming that managerial coordination is necessary for economies of scale and scope, a claim that is (a) not true and (b) quite different from the claim about the motives for managerial coordination that Helper and Sako argue for in the article. However, even in a modular world, we still need managerial coordination, not least when interfaces change and when new markets emerge. Chandler and Langlois each see other’s model of the state of markets as transitional (Lamoreaux et al., 2004). Looking specifically at the case of vertical integration, Chandler (1997) argues that the key firms in the computer industry (e.g. Intel, Microsoft) fit with his model. 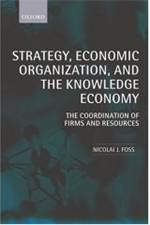 All firms started small, but where there were opportunities to exploit economies of scale and scope, the successful firms invested in managerial hierarchies and distribution mechanisms that enabled them to achieve high throughput and create a mass market. In contrast, Langlois argues that vertical integration is important at the beginning of an industry. But, once the industry learns how to manage and define interfaces, a modular industry structure will (and should) take over. In contrast, Teece’s (2002) idea of systemic innovation suggests a cycle (though one fraught with potential market failures and roadblocks). 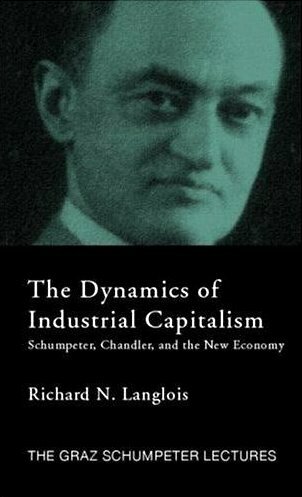 During the period Chandler examines in Scale and Scope, “the leading industries of that era — chemicals, steel, and railroads — were all transformed by systemic innovation. The winners were the companies that made major investments to shape the markets, and did not simply rely upon outsourcing strategies for key inputs. Today we see leading companies like Intel, Lucent, Microsoft, and Cisco making extensive investments to enhance their current capabilities and spur the creation of new ones” (Teece, 2002: 66). Our evidence from the three periods suggests that the rise and fall of vertical integration may best be interpreted as responding to disequilibria created by the needs of the company and what is available in the supply market. This may be a synthesis of my ideas and those of Chandler, but it is a synthesis I long ago performed. The last sentence fairly sums up my argument of the last 20 years or so. They have reinvented the theory of dynamic transaction costs. “In the beginning there were markets” is Williamson’s famous heuristic dictum. For him, a fair comparison between markets and hierarchies implicitly requires us to assume that the same capabilities are available through contract as would be available to hierarchy. I have been at pains to suggest that, from a historical and evolutionary perspective, this heuristic leads us astray. Especially in times of significant economic transformation, internal organization may arise precisely because the relevant capabilities are not cheaply available through contract. As time passes and the extent of the market grows, however, we should expect markets (that is, “contracting” broadly understood) to become more “capable.” … In principle, a Chandlerian revolution could happen again if a radical change in technology or exogenous factors creatively destroyed existing market capabilities and rendered existing market-supporting institutions irrelevant. In the small, this is happening all the time. But if we are considering the question of dominance within the entire population of organizational forms, then absolute levels of the extent of the market have to matter. For one thing, larger markets can support more “general specialties” or “general-purpose technologies.” A Chandlerian firm starting up today can plug into modern financial markets, modern banking, containerized shipping, Federal Express, personal computers, and the Internet without having to reinvent those stages of production itself. This suggests that, not only should we expect Chandlerian firms to occupy a smaller niche in the population of firms as the extent of the market grows, but we should also expect those firms to be less vertically integrated on average. In the end there are markets. Entry filed under: - Langlois -, Business/Economic History, Entrepreneurship, Evolutionary Economics, Strategic Management, Theory of the Firm. Sorry about that on several fronts, Professor. That has to be frustrating. Good thing you have a blog outlet for this. I have thought more about Helper and Sako’s claim that I assume “that thickness of the market is exogenously given or that it is already established, while Chandler assumes that the mass market is something that has to be developed.” I most certainly hold that thickness of the market is something that has to be developed. But it is also true that thickness of the market is often exogenous _to the (Chandlerian) firm_. Their stories seem to be about the ways in which firms themselves create the markets they need, which most certainly did and does happen. But this neglects the fact that markets also and importantly become thick for reasons not under the control of the firm. Dell did not create Federal Express. It was indeed “already established” for the firm to use. If they mean that markets become thick (only) because Chandlerian firms make that happen, then it is the Chandlerian view that is wrong, not mine. In any case, we agree that in some cases, explicit coordination by managers has been replaced by markets and/or standards. However, we are not persuaded of the general validity of the “vanishing hand hypothesis”. Second, you say the proportion of chandlerian (= vi’d) firms has fallen and will continue to fall, b/c of increased size of markets. If true, firm size should be falling; Dosi says it is not. (Perhaps part of the disagreement has to do with unit of analysis; it may be true that the minimum efficient scale of production is falling (Langlois 2003, p. 379). However, we are concerned (as Chandler was) with the size and scope of firms, and more generally of managerially coordinated supply chains—not with the size of production units. (A note on terminology: We think being inside a firm is sufficient , but not necessary for managerial coordination: the key is whether prices are the main way that action between two units is coordinated). Just because MES in production is falling, does not mean firms will shrink. Third, we are not so confident that the Chandlerian managerial revolution is a “temporary episode” that will not recur. We don’t pretend to be able to predict the future. However, one scenario that could occur (is already somewhat beginning) that would lead toward a massive use of explicit coordination would be a movement toward electric cars – much of the coordination not w/in firms, but is between firms and governments—to create plug-in stations, standards for plug-in, transmission lines that could handle additional loads. As we say in the article, the implication of ICT for the incidence of managerial coordination is not clear. In the larger scale of things, standards and modularity might well be temporary episodes.